Today's seniors enjoy a life expectancy longer than any generation in history. An American who turned 65 in 1998 could expect to live nearly another 18 years beyond their 65th birthday. And while additional years are generally considered a blessing, it is also true that the older one grows, the more likely it is that they will need health care services. Today's seniors, who often consider themselves among the best informed, would do well to learn about three crucial areas that pertain to their future health care needs: the potential that they may need long term care, the cost of long term care and the limited federal and state aid available. According to a study by the Agency for Health Care Policy and Research, more Americans than ever will expect to utilize some type of long term care during the remainder of their lives. And with the number of people over age 65 expected to grow to 20 percent of the U.S. population by 2030, there is little doubt that demand for long term care services is poised to increase dramatically. Long term care services have evolved dramatically over the past several years. The majority of long term care was once provided only in skilled nursing homes, long term care services today are provided in a wide range of settings, ranging from in-home care to community-based facilities such as adult day care and assisted care facilities to nursing homes. The cost of long term care can be significant, regardless of the setting in which it is provided. The average cost of a nursing home nationally is approximately $70,000 a year, and home care costs can reach up to $300 a day. Medicare and Medicaid provide only limited help for nursing home care. Medicare is our Nation's basic health insurance program for people 65 and older, regardless of their income, who qualify for Social Security benefits. Medicare has two Parts: Hospital insurance (Part A) which helps pay for inpatient hospital care and certain follow-up services; and Medical Insurance (Part B) which helps pay for doctors' services, outpatient hospital care, home health care, hospice and other medical services. Medicare only pays for the first 20 days in a skilled nursing facility - and only after a hospital stay of three days or more. The patient or their family pays the first $99 per day from the 21st day through the 100th day, after which Medicare pays nothing. Medicaid rules vary from state to state, but as former U.S. Senator David Durenburger told the U.S. Senate Special Committee on Aging, Medicaid "dictates that people must effectively impoverish themselves in order to receive government assistance." Medicaid is essentially medical aide for those who have already spent down their assets. Under Section 1915(c) of the Social Security Act, Medicaid law authorizes the Secretary of the U.S. Department of Health and Human Services to waive certain Medicaid statutory requirements. These Medicaid Waiver programs enable States to cover a broad array of home and community-based services (HCBS) for targeted populations as an alternative to institutionalization. Waiver services may be optional State Plan services which either are not covered by a particular State or which enhance the State's coverage. Waivers may also include services not covered through the State Plan such as respite care, environmental modifications, or family training. To be a waiver participant, an individual must be medically qualified, certified for the waiver's institutional level of care, choose to enroll in the waiver as an alternative to institutionalization, cost Medicaid no more in the community under the waiver than he or she would have cost Medicaid in an institution, and be financially eligible based on their income and assets. In addition, most Assisted Living Communities that do participate in the waiver program allocate only assisted living apartments for this not dementia units in their special care unit. Also Medicaid will only pay for a semi-private room, so they may need to double up with a room mate. They may however receive supplementation from their family or from an irrevocable trust to cover the cost of an upgrade to a private room. Those assisted living communities who do participate in the program offer it first to their existing residents and normally require two years of private pay to even be considered for it. Also remember that since February, 2006 the look back period for Medicaid was lengthened to five years. Though 38 states pay for some assisted living, the programs are miniscule, covering fewer than 100,000 poor people, so waiting lists are long. Medicare covers home care, but just 100 visits in the weeks following a hospital stay. Contact your state Department of Health and Senior services to learn more about waiver programs. The White House recently authorized Medicare coverage for the treatment of Alzheimer's disease. This means that Medicare beneficiaries can now receive reimbursement for mental health services that were formerly denied because the government rationalized that people with the disease did not respond to mental and physical therapy; this has since been proven incorrect, hence the reversal of their position. Medicare was never intended to cover the costs associated with custodial care, which is room and board, and activities of daily living, and these coverage changes still do not reimburse for this, further Medicare requires a three-day prequalifying hospital stay before they pay for care in a nursing home. Medicare covers certain care procedures, and some limited rehabilitation therapies. The physicians who visit our homes are all Medicare certified providers, so the cost of their visits is often covered by Medicare, subject to the co-payment. Veterans and surviving spouses may be entitled to V.A. Aid and Attendance. To Qualify: The Veteran must have been "honorably" discharged. The Veteran must have served at least 90 days, 1 day during wartime. Individual must be over age 65, or permanently and totally disabled. Income qualifications to Determine Eligibility: The gross household income less out-of-pocket medical expenses (including AL, skilled care or home care) is the income counted by the V.A. -- V.A. will not pay benefits if income is GREATER than the Maximum Available Pension Resource (MAPR). The cash value of life insurance is countable. If assets exceed the allowable amount, this is where a good Elder Attorney comes in to play, i.e., sets up a trust and moves assets to a trust, thereby meeting the asset qualification thresholds. Prepared 2-18-11 (Consult the Veteran's Administration on benefit and qualifications). Long-term care insurance is one other way you may pay for long-term care. This type of insurance will pay for some or all of your care depending upon the benefit amount and the setting. Many newer policies feature endorsements to cover costs of home health care and assisted living. The Health Insurance Portability and Accountability Act of 1996, or HIPAA, gives some federal income tax advantages to people who buy certain long-term care insurance policies. These Tax-qualified policies offer deduction of premiums, and other benefits. One national study1 projecting nursing home use noted: "Of the approximately 2.2 million persons who turned 65 in 1990, more than 900,000 (43%) are expected to enter a nursing home at least once before they die." The same study reported that 1 in 3 will spend three months or more in a nursing home and 1 in 4 will spend a year or more. Many seniors opt to purchase a policy with a benefit amount that covers a portion of the expected monthly costs so as to hedge their expected use. Insurer rating services such as www.ambest.com can help to compare insurer's financial strength and offerings, or you can check for free at your local public library. Seniors who purchase these policies early will pay dramatically lower premiums then those who wait until they are 60 or older. A reverse mortgage is a home loan taken against the equity one has amassed in their home. Unlike conventional mortgages or home equity loans, the FHA/HUD HECM reverse mortgage currently allows homeowners over the age of 62 to borrow some of their home equity (a percentage of the appraised value of the home with a maximum home value of up to $625,500) with no income or credit score requirement and never have to repay it as long as one of the borrowers resides in the home. Eligible properties are 1-4 family homes, FHA approved Condominiums and PUD's. Borrowers can receive funds in a lump sum, as a line of credit or get monthly payments every month. There are no restrictions on what the funds are to be used for and the payments are not considered income so they generally do not affect social security, Medicare and in some States can even be used in conjunction with Medicaid. These loans are very safe, as there is no personal liability. The most one can ever owe is the appraised value of the home when the last borrower permanently leaves the home. In order to assure that homeowners are doing the right thing, FHA requires that borrowers attend a "Counseling" session with a FHA approved counselor before they can apply for a HECM reverse mortgage. The Pharmaceutical Assistance to the Aged & Disabled (PAAD) program helps eligible New Jersey residents pay for prescription drugs, insulin, insulin needles, certain diabetic testing materials and syringes and needles for injectable medicines used for the treatment of multiple sclerosis. Only drugs approved by the Food and Drug Administration are covered. Drugs purchased outside the State of New Jersey are not covered, nor is any pharmaceutical product whose manufacturer has not agreed to provide rebates to the State of New Jersey. You are eligible for PAAD, Lifeline, or HAAADif you meet the following requirements: You are a New Jersey resident; your total income for 2009 is less than $24,432 if you are single and less than $29,956 if you are married; and you are at least 65 years of age, OR at least 18 years of age and receiving Social Security Disability benefits. PAAD will also pay up to $225 per year for a participant's heating bill. Call (800) 792 9745 for more information. The Senior Gold program is also available to assist with the cost of prescription drugs. The senior pays $15 plus half of the remaining cost of the prescription. The income limit to access this program for an individual is $34,432 or for a married couple its $39,956. Call (800) 792 9745 for more information. The Pharmaceutical Research and Manufacturers of America (PhRMA) maintains a directory of programs that provide drugs to physicians whose patients cannot otherwise afford them. For more information on this program call (800) 762-4636. Walmart Pharmacy has recently instituted a prescription plan for just $4.00. The list of eligible drugs in the $4 Prescriptions Program — available at Walmart, Neighborhood Market and Sam's Club pharmacies nationwide — represents up to 95 percent of the prescriptions written in the majority of therapeutic categories. The affordable prices for these prescriptions are available for commonly prescribed dosages for up to 30-day or 90-day supplies. Ask your pharmacist or physician about switching to 90-day prescriptions for appropriate medications. Their extensive list of approved medications can be found at www.walmart.com/4prescriptions. The Chore Service helps senior citizens (age 60 and over) and disabled homeowners of all ages remain safe and secure in their homes by performing minor household repairs that they can neither do themselves nor get anyone else to do. Services are provided by Chore's crew of 21 volunteer handypersons working as teams with paid drivers. There is no charge for Chore's services, but clients are expected to pay for the parts necessary to complete the repair. Call (201) 489-7790 for more information. The State Health Insurance Assistance Program, or SHIP, is a national program that offers one-on-one counseling and assistance to people with Medicare and their families. Through federal grants directed to states, SHIPs provide free counseling and assistance via telephone and face-to-face interactive sessions, public education presentations and programs, and media activities. These programs have been very popular to help families decide which Medicare Supplement program is right for them. Call (201) 336-7400 for more information. Heightened Independence & Progress (hip) has administered two premier Centers for Independent Living in New Jersey for many years - since 1980 in Bergen County and in Hudson County since 1987. Through the years, programs and initiatives have continued to expand. In some situations identical services are provided, while in other instances programs are specific to each CIL which may have County boundaries or span the entire state. This program provides up to six months of free care management services. Contact (201) 996-9100 or www.hipcil.org for additional information. Effective January 1, 2009, the Department of Health and Senior Services (DHSS) received approval from the U.S. Centers for Medicare and Medicaid Services to consolidate three Medicaid-supported home and community-based service programs operated by DHSS into a single program known as Global Options (GO) for Long Term Care. The consolidation improves access to a wider range of in-home long-term supportive services for a greater number of seniors and adults with physical disabilities who meet the income, asset and nursing facility level of care requirements established by Medicaid. GO participants have the options to hire and direct their own service providers. GO is designed to supplement – not replace – the assistance already being provided by family, friends and neighbors. By providing a flexible package of services and supports, GO strengthens the ability of caregivers to continue in their vital role as primary support providers. GO participants work with a care manager to create an individualized plan of care based on a comprehensive assessment of the participant's healthcare needs. Once the plan of care is approved, community-based services are put in place and monitored to ensure quality and effectiveness. The GO program essentially replaces the Community Care Program for Elderly and Disabled (CCPED) which typically provides a maximum of 5 hours per day; 5 days a week in home care assistance. Participants must demonstrate need for assistance in at least three activities of dailiy livings (ADLs) or have a cognitive impairment. In order to be eligible, financial and clinical criteria must be met. Monthly income maximum $2,022, individual assets $2,000. Contact (877) 222-3737 for additional information. Jersey Assistance for Community Caregiving (JACC). JACC is a State-funded program that provides a broad array of in-home services to enable an individual, at risk of placement in a nursing facility and who meets income and resource requirements, to remain in his or her community home. By providing a uniquely designed package of supports for the individual, JACC delays or prevents placement in a nursing facility. Cost caps are applied to specific services under JACC as well as to the cost per person per month. JACC services are limited to a maximum of $600 per month or $7,200 annually. The service package provided is based on an assessment of the individual's needs, unique care plan, and availability of services and funding. Participants share the cost of care on a sliding scale basis, and must be home bound. There is an asset test for qualification of below $40,000 for an individual, or $60,000 for a couple. Contact (877) 222-3737 for additional information. The NJ Statewide Respite Care Program has been operational since April of 1988. This program provides up to 21 days per year respite care services for elderly and functionally impaired persons age 18 and older to relieve their unpaid caregivers of stress arising from the responsibility of providing daily care. A secondary goal of the program is to provide the support necessary to help families avoid making nursing home placement of their relatives. There is an asset test for qualification of below $40,000 for an individual, or $60,000 for a couple. To reach the Statewide Respite Care Program in your county, call NJEASE toll-free at 1-877-222-3737. The Americans with Disabilities Act (ADA) of 1990 is a civil rights law that protects the rights of people with disabilities. The ADA requires public transportation systems to offer ADA paratransit service to individuals who are unable to use local bus service as a result of their disability. As New Jersey's public transportation provider, NJ TRANSIT has specific guidelines that must be followed in providing ADA paratransit. Access Link is a public transportation service developed to comply with the paratransit regulations of the ADA. Access Link service is comparable to the NJ TRANSIT local fixed route bus system. Access Link is for people with disabilities who are unable to use the local fixed route bus. In order to use Access Link, you must first apply for eligibility. All persons interested in applying for Access Link service are required to attend an in-person transportation assessment interview. To arrange for a transportation assessment appointment, please contact NJ TRANSIT by dialing 1-800-955-2321 between the hours of 8:30 a.m. to 5:00 p.m. Monday through Friday. Great presentation presentation I like your good service.I always appreciate your post.thanks for shearing about this I thinks its very hopeful post and very important post for us. 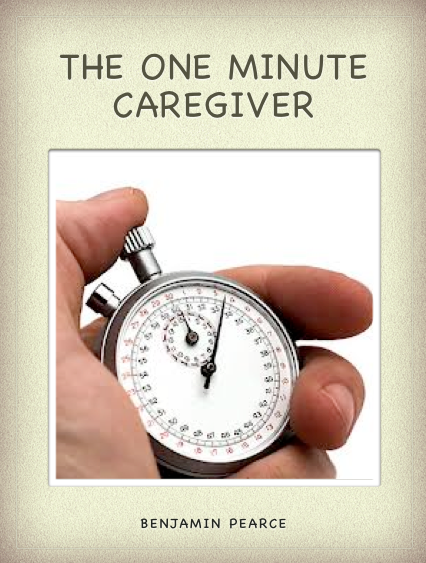 Nice blog dear home care giver is one of the best choices for elder care. Very Informative and Useful. I was looking for assisted Living in Denver CO and found post. Thanks for sharing such a useful info on web.